Description: Pro Bash Programming teaches you how to effectively utilize the Bash shell in your programming. The Bash shell is a complete programming language, not merely a glue to combine external Linux commands. By taking full advantage of Shell internals, Shell programs can perform as snappily as utilities written in C or other compiled languages. 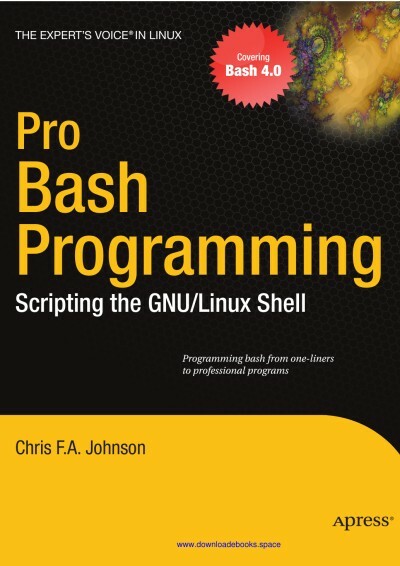 And you will see how, without assuming Unix lore, you can write professional Bash 4.3 programs through standard programming techniques.